Online stream anime episodes, Watch Naruto Shippuuden Episode 78-79 English Subbed online and free episodes. Anime Episode guide, Chapter Naruto Shippuuden Episode 78-79 English Subbed The Judgment Asuma’s Fire Jutsu strikes Hidan, but, to his team’s surprise, Asuma gets burnt as well. Hidan then reveals his ability to link his body to his opponent’s after ingesting their blood. Asuma rushes at Hidan, but collapses after Hidan stabs himself in the leg, thereby injuring Asuma. 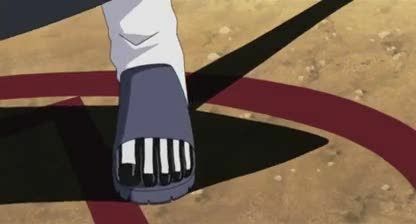 Shikamaru realizes Hidan needs to be in the circle for his curse ritual to take effect, and so, uses his Shadow Possession Jutsu to force Hidan to step out of it. As he does so, Asuma gets to strike a finishing blow on Hidan. As Hidan screams, Asuma decapitates Hidan with his chakra knife.